Last year, around this time, news reports highlighted an 8 year old Californian girl with an incredible and truly fortunate story. She had contracted rabies following a scratch from a stray cat and survived (albeit with intensive medical care), despite not receiving the rabies vaccine. She was very lucky because rabies, although rare, is almost always fatal. Since summer is here, please be aware of the following facts and prevention tips about rabies. Rabies can be found all over the world. According to the World Health Organization, over 55,000 people die each year from rabies worldwide, with 95% of deaths occurring in Asia and Africa. In the US, more than 90% of all animal cases reported are from wild animals rather than domestic animals. Also, the number of human deaths has declined from 100 in 1929 to less than 2 cases per year now. In Illinois, animal rabies surveillance for 2010 showed that 117 animals tested positive for rabies, all of which were bats. The most frequent animals to be tested were bats, dogs, cats, skunks and raccoons (animals were tested if they exhibited signs of rabies or bit a person or domestic animal). 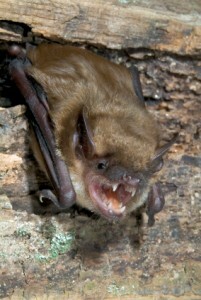 So far in 2012 there have been 34 cases of rabid animals all of which were bats. Animals in Illinois that are considered low risk for rabies infection include squirrels, mice, rats, guinea pigs, and rabbits. When an animal contracts the rabies virus from a bite it travels through the nerves to the brain. The animal appears fine during this incubation period which can last from 1-3 months. During the incubation period, the animal cannot transmit rabies because the virus is not in the saliva. Later in the disease, the virus moves from the brain to the salivary glands and into the saliva. At this time the animal may show signs of a rabies infection. Once clinical signs listed above are shown, the disease is almost always fatal. If you suspect that you have been exposed to rabies, wash the bite site well with soap and water, and seek medical attention immediately. The physician together with the local health department will decide if rabies prophylaxis is needed. Rabies prophylaxis treatment is comprised of two parts. First, human rabies immune globulin is given one time to provide immediate antibodies against rabies. (This provides protection until the body can produce antibodies of its own following vaccination.) Secondly, the rabies vaccine is given as a series of 4 injections over 2 weeks. The first dose is given on the day of exposure and repeated on days 3, 7 and 14. It is highly effective and provides optimum prevention from developing rabies if given as soon as possible following an exposure. This may seem unpleasant but it is much better than the 21 shots that were required several decades ago. It’s best to be safe and prevent exposure altogether. Make sure your pets are vaccinated. Humans do not need to be vaccinated unless they work with animals that could get rabies. Keep pets, yourself and others away from wildlife or stray animals, especially ones that are behaving oddly. Never touch those animals, or try to nurse any sick wild animals back to health. Be aware of bats because they can get in your house and bite you in your sleep. If you are bitten or see a bat in your house, call the local animal control or an animal rescue group to capture the animal unharmed. The Illinois Poison Center is always available (24 hrs a day/7 days a week/365 days a year) to answer any and all questions you have regarding harmful substances – 1-800-222-1222.